Porsche gives its big SUV a new sporty sibling, with sleeker looks to compete with BMW’s X6. A more stylish version of the Cayenne. Choice of two petrol engines. On sale now, first deliveries in May. 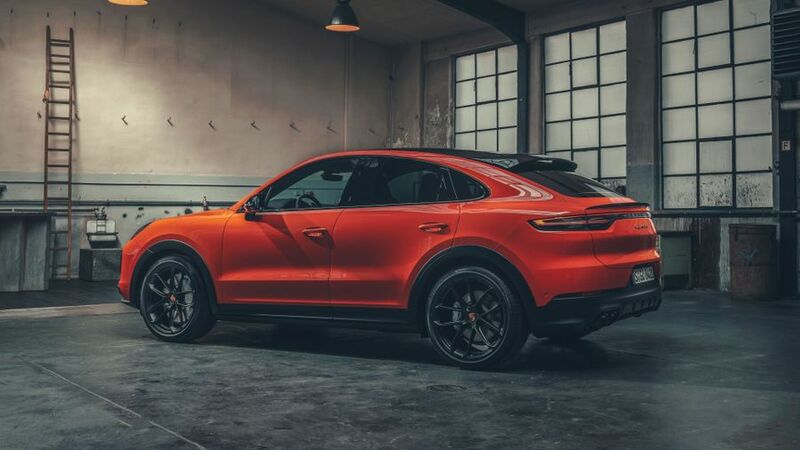 Good news for everyone that thought the Porsche Cayenne was too boxy: the German carmaker has revealed a sleeker version, called the Cayenne Coupe. Arriving in the UK in May, the Cayenne Coupe adopts a similar approach to cars like the BMW X6 and Mercedes-Benz GLE Coupe by giving a racier look and feel. 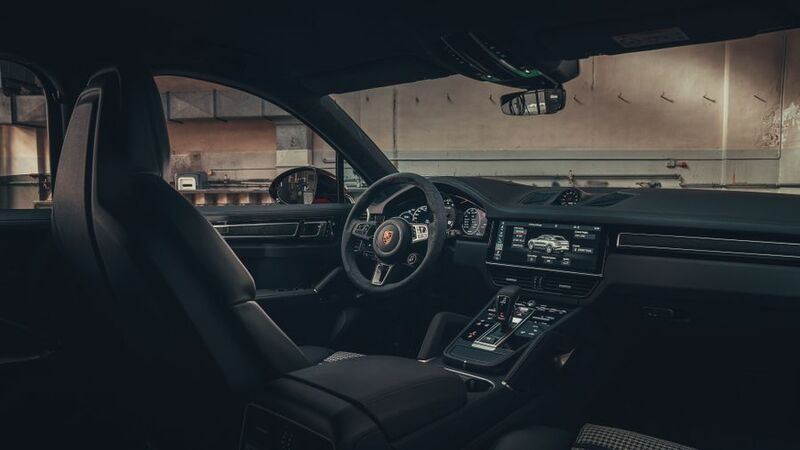 The Cayenne Coupe has a steep sloping roof line, 20mm lower than the standard Cayenne, with a panoramic sunroof as standard, and an optional carbon fibre roof for a more performance look. There’s a roof spoiler to add to the sportiness too, along with an adaptive spoiler below the boot lid that extends at higher speed for improved aerodynamic performance. Inside, there’s space for four as standard, sitting lower than in the normal Cayenne so as to not overly impact on headroom. There’s a choice of two petrol engines at launch. The first is a 3.0-litre, turbocharged V6 with 340 horsepower, which will hit 62mph from standstill in a pretty quick 6.0 seconds. 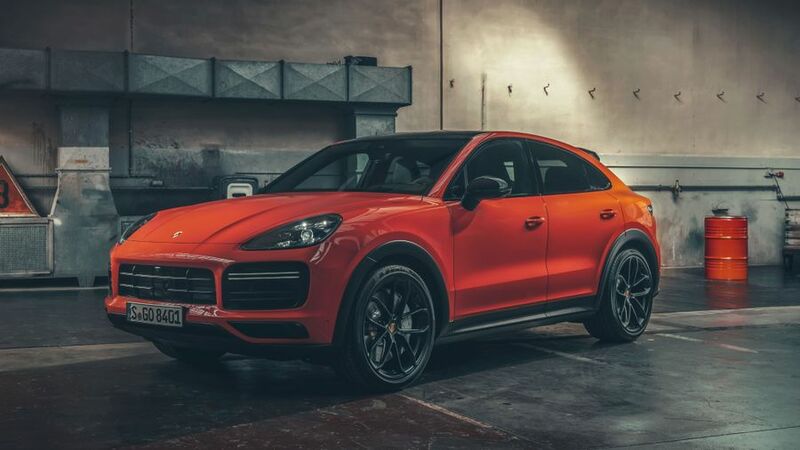 For more performance though, the Cayenne Turbo Coupe will hit the same speed in just 3.9 seconds, thanks to its 4.0-litre, twin-turbo V8, which produces 550 horsepower. However, it’s considerably more expensive; the Cayenne Coupe costs from £62,120 RRP, while the Cayenne Turbo Coupe will cost you from £104,729. Interested in buying a Porsche ?